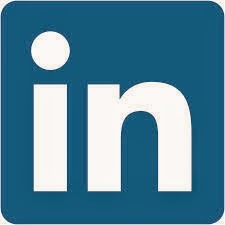 LinkedIn is becoming the premier way to introduce your professional self online. Be sure that what you post and share there is the same kind of info you'd put on a resume or mention in a job interview. Achieve even greater success on LinkedIn with these tips. When LinkedIn suggests new contacts for me and one of them doesn't have a profile picture I 1) can't be sure it's the same person I think I know and 2) am left to feel this person created a profile ages ago and then left it to die. Let me ask you, would you go to a job interview without showing your face? Most of us would say no, unless we have a very good and perfectly acceptable reason as to why. Having a profile picture is just as important as meeting someone face-to-face. Let your connections on LinkedIn know what you're about - just like you would with a resume. This is great so your connections know what skills you have and can offer, but also helps LinkedIn suggest others to network with based on the content of your profile. Ya got your picture. Ya got your content. Now get some connections! Quality connections are always worth more than quantity. So be sure you are requesting and accepting invites from people you know, trust or have a well-established reputation in your industry. TIP: When sending or receiving an invitation, LinkedIn usually creates a standard message for you. Forget that! Get personal and create your own "thanks for connecting with me" message. Don't let your profile die! Think of LinkedIn like a party. You're there in a room with lots of potential contacts. Don't just stand in the corner looking at everyone - or worse just staring down at the ground. Be a part of the party and chat with others. Compliment and converse to build professional relationships that will help further your career. TIP: Find ways that you can help others. This is an exceptional way to connect, make a solid new contact and demonstrate your expertise.